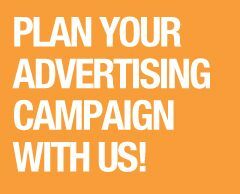 Eurofruit is the leading magazine for fresh produce buyers and suppliers in Europe and the Middle East. Publishing ten issues a year as well as daily news online, the magazine's global network of editors, reporters and correspondents provides the international fruit and vegetable trade with information and analysis, covering innovation in all areas of the business. As a result, Eurofruit offers access to the best and most timely information, helping industry decision-makers anywhere along the supply chain: from production to procurement, from seed developers to supermarkets. 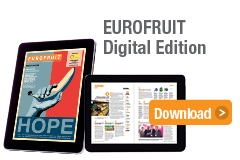 Eurofruit is available as a print publication and also as a digital edition on tablet devices, smartphones and desktop computers. It publishes news stories every day online at fruitnet.com/eurofruit, via social media channels like Twitter and Facebook, and via email as part of its Fruitnet Daily News service. Eurofruit also organises conference events around the world, enabling people to explore new business opportunities and make new contacts. Its annual conference events now include Fruitnet World of Fresh Ideas (part of Fruit Logistica), Global Berry Congress, Fruitnet Forum Middle East and Fruitnet Forum South-East Europe. Eurofruit is part of Fruitnet Media International, the world’s leading publisher and event organiser for the international fresh fruit and vegetable business.